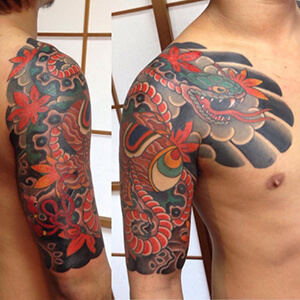 Tattoos have a long history in Japan, starting around 10,000 BC. 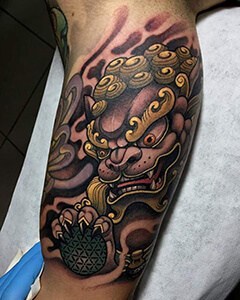 While there was a period of time in Japan when tattoos were frowned upon and worn by prisoners, there were also many years where they were worn for spiritual or decorative purposes. 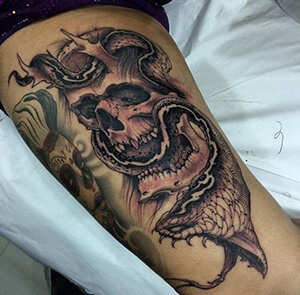 Known for their eye-catching appeal, many of these tattoo designs flaunt expansive and colourfully detailed looks. 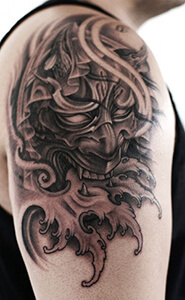 Check out the Japanese tattoo meanings list, and find the matching images in the gallery below! 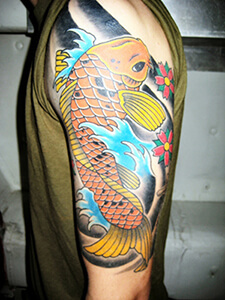 Carp: also known as koi in Japanese, these fish are a symbol of determination, strength, and courage in tattoo art. In Japanese folklore, the carp swim upstream the Yellow River, and if they reach the dragon’s gate, they can turn into a dragon. As such, the carp represents self-improvement and persistence. 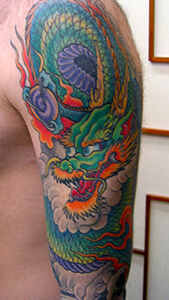 Dragon: these mythical beasts are a popular symbol for wisdom, strength, and protection in tattoo designs. In Japan, dragons are seen as ferocious yet benevolent creatures. Flowers: different kinds of flowers have unique tattoo meanings in Japan. For example, the rose represents eternal love, and the hibiscus represents gentleness. 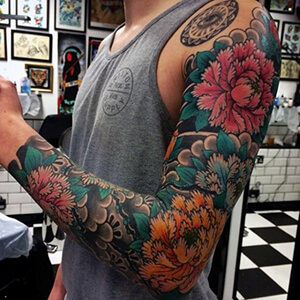 Check out our floral tattoo meanings page for a more comprehensive list. 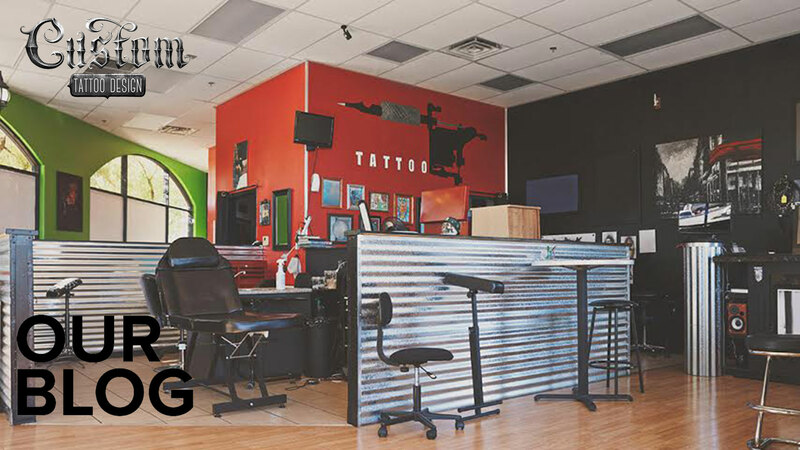 Fu-Dogs: these tattoo designs resemble lions with pointed ears. Fu-dogs are mythical creatures that represent guardianship, prosperity, and success. Ogre: also referred to as oni, these animated creatures represent the devil’s power to punish any evil or any act of injustice. 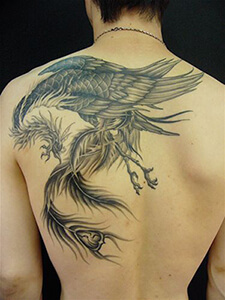 Phoenix: (Fushicho) since the phoenix is reborn from its ashes, it has become a well-known symbol of revival and victory in tattoo art. This design often flaunts a bird with bright, red plumage and a long tail. Skull: (Zugaikotsu) unlike the Westernized rendering of the skull, the Japanese version is much more celebratory. The skull represents life, death, change, and reverence for the dead. Snake: (Hebi) also quite unlike the Westernized view of the snake, in Japan, the snake is a symbol of protection against misfortune and illness, as well as a symbol of wisdom, good luck, strength, and change. Turtle: (Minogame) since turtles have a hard outer shell and can live to be 100 years old, they are a symbol for protection, wisdom, luck, and longevity in Japanese culture. 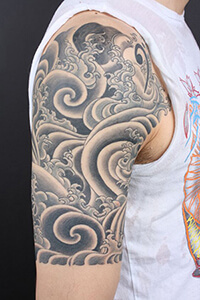 Wave: a commonly depicted image in Japan, the wave is symbolic of movement, strength, fluidity, and life. 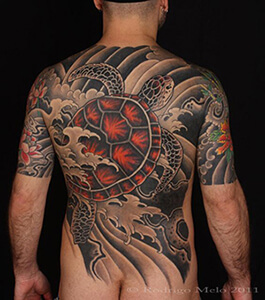 Many Japanese tattoo designs are based on animals and myths central to the culture. 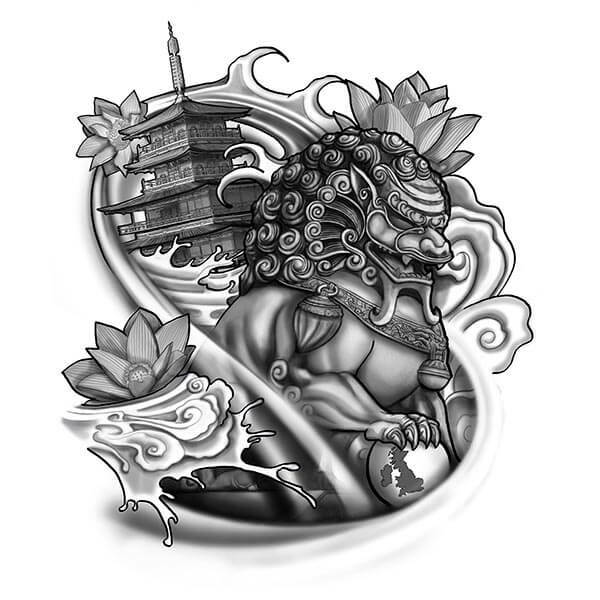 Throughout history, myths have interestingly come to represent important human values, many of which are represented in these remarkable tattoo designs. If you know of other interesting examples, let us know about them in the comment section below!